We pay up to 20% more than our competitors. We buy all scrap, broken or unwanted gold. Convenient locations, convenient hours, well trained staff. Our overhead is covered by our Music Movies and Video game business, so we can pay more cash for your gold. Free, no obligation evaluations of your gold. With the price of gold at record highs, now is the time to cash in your gold. We pay the best prices for unwanted gold. Turn you old gold into cash today! Cheap Thrills Records locations in Princeton and Beckley, W.Va., pay cash for gold. Call today or simply bring in your unwanted gold to one of our conveniently located stores. 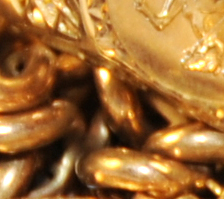 Our gold experts will provide fast and fair quotes on the value of your gold. Cheap Thrills Records Cash for Gold associates are proud to provide professional and equitable gold purchasing services for patrons from throughout the region. 304-252-3472 -------102 Galeria Plaza, Beckley, WV. Because our service is local and first hand, you won't have the fear and inconvenience associated with mailing your unwanted gold off. You won't have to wait to be paid and you will get the best price possible. The hallmark of our program is effeciency. Our offering is low overhead, in terms of costs, and this allows us to save money and pay more for your gold. Turn your gold into cash today. Bring in gold rings, gold earrings, gold bracelets or just gold scraps, and get cash instantly! Just walk in, get a free quote, sell your gold, and then walk out with cash in your wallet. Receive the most cash for your unwanted gold today! Call Cheap Thrills Records - Cash for Gold! Is another fine offering by the region's most popular music source. Always the best prices - coming and going.